Fethiye is a large town about 45 minutes from Dalaman Airport. It is town that is surrounded by natural beauty, well known for the many boat trips that that leave the harbour daily to take tourists to the Islands and small bays. For approximately £15 it is a full day out with food included. During April, May and June you will often turtles in the bay that come to lay their eggs on the many beaches around the Fethiye area. Fethiye has a large choice of restaurants, cafes and bistros many great local places to eat. Fethiye is famous for its local Fish market. Most of the restaurants have remained in their families for generations and have been traditionally handed down. It is not all about the fish… The fish market has some of the best mézes available in the local area. In the centre square of the fish Market are the many fresh fish stalls where you choose your fish. You then take it to one of the many restaurants around the square where you choose your mézes and drinks. The atmosphere is unique and we would highly recommend it! Fethiye centre is a perfect mixture of modern and authentic Turkish, overlooked by lycian Rock Tombs you can visit the old town of Fethiye known as the Paspatur. There are many traditional shops where you can see carpet traders, crafts and high quality leather coats, shoes and bags. Although you may be taking a visit to the dentist we know that you will have an amount of sugar and in the paspatur you will find locally made Turkish delight that you can try before you buy. From Fethiye harbour you can take a water taxi to Calis Beach which takes approximately 20 minutes. It is another great way to see the area and the town against the back drop of the pine clad mountains. The cost of the water taxi is approximately £2. Calis Beach is well known for its sunsets and long beach front. It is another great place to visit and is within easy reach of Fethiye. 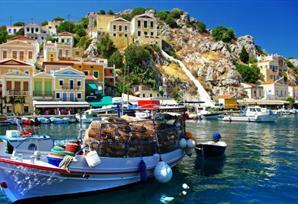 ​If you like the idea of experiencing a different culture while you are here you can travel to Greece. Twice a week you can travel to the Greek Island of Rhodes from Fethiye by hydrofoil. 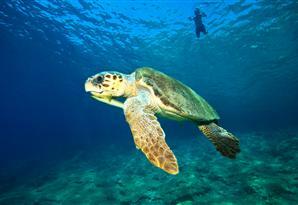 In Fethiye you will find tour operators that offer many day trips including the Jeep Safari Tour. This tour is great for people with a sense of adventure or with young families. There are many historical Lycian and Roman ruins in this region which can be seen on the Jeep Safari Tour along with Saklikent George with its cool fast flowing water, local villages and one of the longest beaches in the area, Patara Beach. The trip also includes an afternoon meal and usually costs approximately £20. ​Whichever resort you choose to stay in (Fethiye, Calis Beach, Ovacik, Hisaronu or Oludeniz) you must ensure you are free on a Tuesday for the Fethiye market. 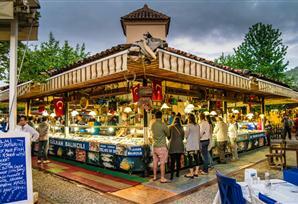 Turkey is famous for its bazaars and Fethiye holds the largest in this area. There is no better place to bag yourself a bargain! You will find spices, bags, genuine fake designer goods, linen and leather goods. It is the perfect place to haggle for the price of your souvenirs. When it is time for a break, sit down and watch the world of Turkey pass you by as you enjoy a local sweet or savoury pancake. Many Turkish people speak fluent English in Fethiye and the local resorts. Over 4,000 Ex Pats now live in Fethiye so the area caters well to Tourists and the standards of service are high compared to other countries. Fethiye is an area of outstanding natural beauty with a high percentage of holiday makers returning year after year for their holidays. Why is Dentistry in Turkey so much cheaper than at home ?